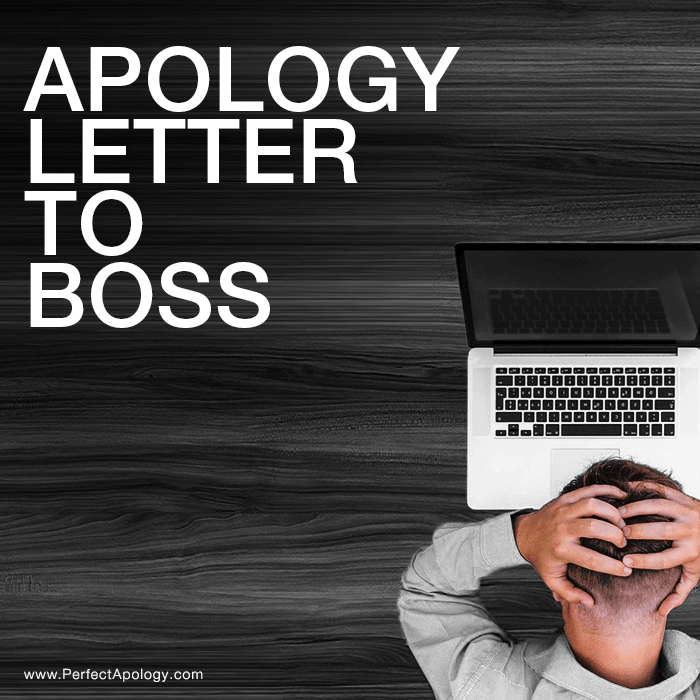 Writing an apology letter to a boss or employer is not uncommon. We spend most of our time at work and being human, we will inevitably make a mistake of some kind and need to say sorry for it. Whether the infraction was beyond our control or not, apologizing to your superior will go a long way in making things right again. Obviously, some infractions are more serious than others, especially when it comes to business, but taking the time to craft a sincere apology letter to your boss is an important first step. We've found that the most common reasons for these types of mea culpas range from making a simple mistake, absence from work, acting unprofessionally, poor performance, misconduct, insubordination, being late or not showing up at all. The table below includes a sample apology along with notes so that you can tailor your letter to your particular situation. If you're on a first name basis with your boss then it's appropriate to use their first name. If not address them as Mr. or Ms.
Apologize with a detailed account of the situation with specifics. Start with a general term for the infraction along with time and place specifics e.g.mistake, being unprofessional, insubordination, tardiness etc.. Please accept my sincere apology for not showing up for the presentation with Acme on Friday afternoon. I know how important the meeting was for the company and it was unprofessional of me to be absent and not advise anyone. I am truly sorry. Acknowledge the hurt, damage done and implications on the business. I know I let you and the company down and understand your disappointment. I can only imagine how awkward the meeting was and how this all must have looked to our customers. I appreciate the inconvenience this must have caused you and the delay in closing the deal as a result. Take full responsibility and make it very clear that you were at fault. I take full responsibility for my absence and understand that my behavior did not meet the standards you and this company expect (or deserve) from their employees. It was wrong of me not to show up and I was at fault again for not advising anyone that I would be absent prior to the meeting. A personal situation came up that took me across town and that I needed to address however that is my issue and not the company's or yours. I can promise you that this will never happen again and that I've taken all the necessary measures to ensure that it doesn't. It's important to me that you continue to trust me implicitly and know that I always honor my commitments. I let myself down, but more importantly I let you, my boss, and the company down. I regret the whole incident and I am deeply embarrassed to have put us in this situation. I've sent a letter of apology to Acme, spoken with Bob and John personally, and have rescheduled the presentation for tomorrow morning. This apology letter to a boss shows how the employee understands that what he's written may not be enough and is willing to do anything to get back in his boss's good graces. If there is anything else that I can do to fix things and regain your trust, please let me know. By including a breakdown with notes of this apology letter to a boss, you can see how easily it can modified to any situation. Use the 'Notes' to guide you while writing your own letter and replace the specifics with your own situation. The order of the statements aren't important. What is important is that your boss understands that you sincerely regret what happened, took responsibility and apologized, and that it won't happen again. Next step to consider: Your apology letter format. It plays a role in how effective a letter can be and how open the recipient will be to accepting your apology.